One day at a Salsa social, I was talking to a friend of mine (in this post lets refer to her as Carol). Now Carol was quite a popular female dancer in the scene; she was light on her feet and had so much natural style that everyone wanted to dance with her. We had been chatting for a few seconds when a song came on that Carol absolutely hates and will never dance to. A guy (lets call him Jim) who was still new to the scene picked this song to make his very first approach. Jim walked over to us, put his hand out and very politely asked Carol for a dance. Carol said with an apologetic look on her face – “Not to this song honey, lets dance to the next one.” Then bam, there it was – the look on Jim’s face – his warm inviting smile turned into a sad and confused stare like he had just been sucker punched. He turned around awkwardly and walked away like a puppy that had just been kicked. Now Carol is an amazing dancer and she always has guys eagerly waiting to dance with her at socials. By Jim taking offence where none was intended, he was eliminating an amazing dancer off his list. The loss was his. 2. Unconsciously, we feel entitled to a yes when we ask for a dance. That’s right, when we ask someone to dance, we are not really asking. We are simply following a list of steps that should lead to the dance we have been ‘promised’ because we have bothered to show up. Only a Yes would suffice and any other response feels like like a violation of the social contract promised by the community. So when a No or any other form of denial comes out, feelings get hurt. Then I went deeper down the rabbit hole & took things from Carol’s perspective. While Carol did not like the song, whatever her reasons, is she really expected to say yes to every dance request? It turns out, the more popular a dancer you are, the higher the likelihood people expect you to be a ‘Dancing monkey‘. Dancing monkeys are not allowed to get tired, take a break, go to the toilet, or even have the audacity to want to choose whom they want to dance with and when. Any time they exercise any of these rights, they are labelled as rude or snobs. I know dancers (both male and female) who are so popular that they will quite literally have a que of 10 people waiting to dance with them. Think about this for a moment, if they get tired or want to take a break after 6 or 7 dances, the remaining 3 people who are left standing on the side of the dance floor will take this decision very personally and some might even quit dancing citing this as the reason. Can you imagine the pressure being placed on these individuals to say Yes to every dance? Note: If a person is mean or rude, that is a whole different story and call them on it and then cut them off. No one needs that negativity in their life. Now what if the person gives you an excuse and then immediately starts dancing with someone else? I say give them the benefit of the doubt. Maybe that person they are dancing with is their favourite dancer and is not someone they can say no to. 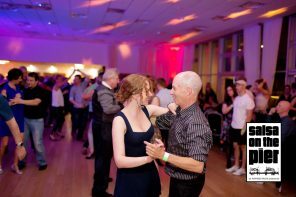 Now if a dancer keeps on avoiding you over a period of time or just says No every time you ask them to dance, my advice would be to take notice – is it just the 1 dancer or is this happening with lots of different dancers? a. If its just the 1 person, then its all about them and its got nothing to do with you. Let it go and live your life. If you are a guy, maybe you are forceful and hurt ladies when you dance. Or maybe your hands wander where they are not supposed to? For the ladies, maybe you don’t follow very well, or you loose timing or maybe you look angry when you dance? Do the smell test and make sure you smell good and that you don’t sweat all over your partner. There is a very thin line where sweat goes from acceptable to uncomfortable to downright unsightly. You need to be aware of how much you perspire and make sure this is not scaring people off. Rotate your dance requests. Don’t ask the same 5 people to dance all night long. I see lots of dancers who only ask the really popular dancers to dance, but never think about asking the beginners or intermediate dancers. Dance with all people of all different levels. its not his loss. he’s learning. he’s learning when no really means buzz off and when no means give me a break till the next song. hes a beginner so he has to dance with someone who will help make him feel confident. this isnt easy for new leads. i doubt this Carol was the only good dancer in attendance that night so Jim likely had a few good dances or more (as much as a beginner could). Surely the right thing for Carol to do was ask Jim to dance to the next acceptable track. That’s what I do on the rare occasions I turn someone down. So, I have one or two comments about this question!! 1- I trained and used to do a lot of contra dancing with a school team before salsa. What often strikes me about contra compared to salsa is that people in contra very rarely say no to a dance!! They’re not necessarily nicer, it just seems to be a different culture. In fact, ladies ask gents to dance a lot. And, people in contra dance a lot more than salsa. In fact, in contra one gets to dance with literally everyone else!! That’s cause couples progress up and down the line and dance with others’ partners during the course of a song. I don’t know why, but there just seems to be a somewhat different attitude in contra. It’s kind of more friendlier and people seem less “scared” of other people. The ironic thing is most people in contra when I danced were often Caucasian and I was often the only colored person, and yet I always felt comfortable and welcome there, often more than salsa, yet, salsa has a more diverse crowd! Go figure!!! In contra there’s often a sense of “whatever,” “mistakes” are not “judged” as much, in fact, mistakes make it all fun, and people certainly don’t dress fancy!! In fact, I’ve heard people call contra dancers tree-huggers cause many just dress very casually to contras, but I know some friends who do it who are quite conservative, and most are often middle-class successful people! So, it’s not that they’re “hippies!” haha! I feel like it’s a sort of much less pretentious culture than salsa, if one may. You definitely don’t see people getting angry with other people about their skill level or whatever reason and walking off! 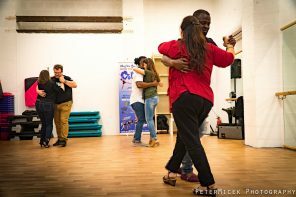 I’ve seen that a few times in salsa even been on the receiving end, often to newer dancers who don’t know how to “navigate” the sometimes “treacherous” salsa dance floor! These things usually happen to newer dancers who don’t realize the mechanics of the salsa scene and floor. After some time, one builds a go-to list of dance partners and learns who to ask, when, and when not to bother! New comers are usually in for a shock!! They just get in at the “deep end” and don’t realize how treacherous the salsa waters can be!! You gotta know who to ask, and you certainly need to know how to dance with folks without turning them off for all sorts of sometimes flimsy reasons, male or female dancers!! 2- When we say things, there’s what we say, and then, there’s what our body-language says! The two are not always the same!! 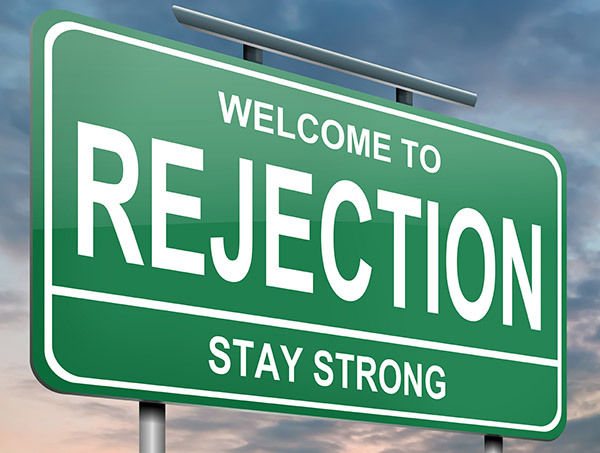 There are ways to say a genuine “no” with a good meaning, and there’s often a not so good no, too, in spite of how much we try. They say a huge percentage of what we say is said without words, just from our body language. People often misunderstand each other, so we need to be more careful and considerate how we communicate, if we wish for others to understand us well. I’ve heard people tell me the next one, too, but it often just doesn’t seem realistic even when I really would still like to dance with them! A floor might be crowded, and one person is on the other side. It just seems crazy to expect somebody to burrow through a crowd all the way to the other side of the floor to go looking for Mr or Ms Next Dance!! So, “Next dance” often at best turns out to mean “next dance if you can catch me.” Ladies, or gentlemen, that’s not going to happen, especially if the other person barely knows you, and, if you ask me, it shouldn’t!! I think its just too much selfishness to expect a stranger to look for one in a crowd for another chance to dance!! I say way to go for that learner!!! 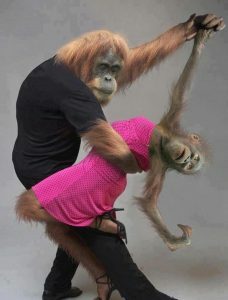 If you really want to dance with somebody who’s asked you, do the finding next time!!! 3- Sometimes we think a song is bad etc, but there’re also some subconscious things that may be happening. It may not just be the song, but how “good” a partner might be. It doesn’t surprise me that the guy in this case was a learner!! These things often happen to newer dancers mostly!! So, if the song is awful, but, say, a nationally popular salsa dancer asks the same lady to dance, I wonder what she would do!? I suspect she would jump so fast to dance! Or, if a better looking lady asked a guy who said know to another lady, I suspect, and I’ve seen this (not the roof part! ), he’ll jump so high, he may even crush the roof, to dance with the better looking lady!!! So, may be, it’s not just the song! Perhaps, there’s usually other issues, too, going on sometimes. In my view part of the main problem here, I think, was this gentleman was new to the scene. One of the things one learns about a salsa scene with experience, is who to ask for a dance, when, and how to do so. One of the reasons experienced dancers have more fun than average ones, in my experience, is cause they’ve cultivated the friends and know how to “navigate” the social dynamics of the scene, in addition to their skill! They know what the situation is, which people might be a “no” etc etc. Seasoned dancers know who likes what, when etc. And if they make an error in asking, dance partners likely might still say yes, just cause they’re more familiar with them. New dancers don’t realize seasoned dancers have put in a lot of time and energy, often traveled with people, trained etc. They think “it’s a clique” (i’ve had ladies tell me this!) or “oh, he gets all the girls!” etc etc! Lastly, one problem with guys, especially new dancers, is we often confuse looks with who to ask for a dance! That can be misleading, and often we miss out on so much fun. One thing I’ve learned is never to walk across a room to ask somebody to dance when there’re partners on my side of the floor!! Start with the ones nearest to you, and then, perhaps, proceed across!! I see a lot of newbies do this! When they get back after having been “bounced” the ladies at the original end of the room also say no or are already dancing! And they’ll take note!!! Its surprising usually so obvious to tell when guys are only asking the better-looking ladies, it’s almost shocking!!! I know guys who only seem to dance with the younger ladies!! For new dancers, that’s a recipe for dissatisfaction!!! Love the comments. I think the difficulty with the salsa scene is the salsa culture which is so different to many other dance cultures. After years, I still find it exhausting to navigate the nuances of when and who it is acceptable to approach for a dance and when – and I’m guessing it must be virtually impossible for a newbie to discern. In other dance cultures I am part of, if someone honours you with an invitation to dance, the correct etiquette prescribes the answer is always a “yes, thank you”. It doesn’t matter the person’s level, dress, age, looks or whether you like the song or not. In fact, advanced dancers are encouraged to ask beginners to dance – this is also part of the etiquette. The only acceptable “no” is a bathroom break, or rehydration break queuing for a drink at the bar. Even if your feet hurt, you would never refuse someone just to accept a dance from someone else a few seconds later. 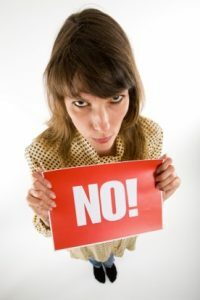 For a male lead, a ‘no’ means no. We do not have the time or inclination to decide whether no meant yes later, or no never. We do not wish to offend by repeating a request, so we don’t. For a scene newcomer or a veteran, it’s a lead’s greatest fear to be refused, particularly when witnessed by her friends. It’s perfectly okay for “Carol” to decide with whom she dances. But “shrugging off” a newcomer’s feelings doesn’t make her a friend to the social salsa scene, despite her other qualities. I cannot agree with you more as dancer with 3-year experience. no means no forever. The worst cases I had were some dancers show their faces like “why should I dance with you” during the dancing or quit the dancing during the song, though they showed their unpleasant faces whey agreed to dance. As a middle aged female Latin dancer, it takes a lot of nerve for me to ask someone to dance. (I am not a bad dancer, and have been dancing for 15+ years.) I have a funny little rule. If someone refuses, (without a sincere excuse, as described in the article) I won’t ask them for 6 months. They are on “probation.” I will ask again in 6 months. If they ask me, I will dance with them, but I won’t ask them for that time period. (Sadly, I don’t think some guys have even realized they are on probation!) I do not ask the same person over and over, and usually if I ask someone once in an evening, I will not ask them again that night. I have done my share of “mercy dances”…so I feel like if I am not the hot little babe you want to go home with, I feel like you can suffer through one dance with me. If she jsut got off the floor I would not ask …or shes way off in a corner clearly resting or chatting I don’t ask…. but if she smiling and near the dance floor I will ask politely with a smile………..
A “no, not this song” – no matter how legitimate the reason is – can and often is a soft rejection that women given to men. I believe the appropriate thing for Carol to do would be to say no and tell Jim she will find him for the next song, and then stick to it. This article only covers one half of a gendered reality – the female’s reality. In the reality of men, a soft “no” is often a hard “no” in disguise. So, I disagree that it is solely Jim’s loss. It is actually both of their loss. There’s an old saying – “the ride rises all the boats.” In other words, both men and women need to simultaneously conduct themselves with a higher code of honor in the dance scene…as well as off the dance floor. No one should ever be offended when some says no. The reason is that you should never take anything personal. The reason is that person doesn’t want to dance with you is for their own purpose, not because of you. That person is dealing with their own self and what he or she believes in. Even if that person is a jerk, they are afraid or mad or frustrated with themselves. So there is no need to feel like a victim here, because the person is not doing this because of you. If there to say ” gross, I won’t dance with you, you are all sweaty.” – This is still not personal. They are dealing with the fact that they don’t like sweat or they themselves are a sweaty person. When you enter into a place and you see people look at you and start to think that they won’t dance with you, then you created that this will come true. So I suggest, if the person doesn’t want to dance with you, find someone else and don’t take it personal. Try again later and if it still doesn’t work then move on. No big deal. There are tons of people to dance with.